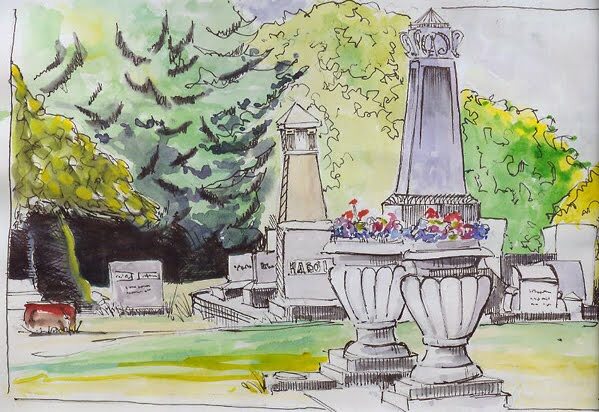 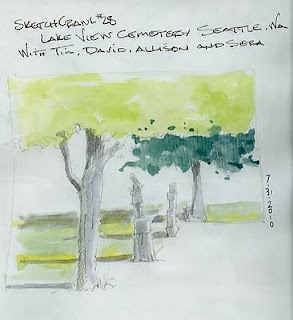 A cold and grey Saturday in Seattle was the background for our sketchcrawl at Lake View Cemetery (next to Volunteer Park). 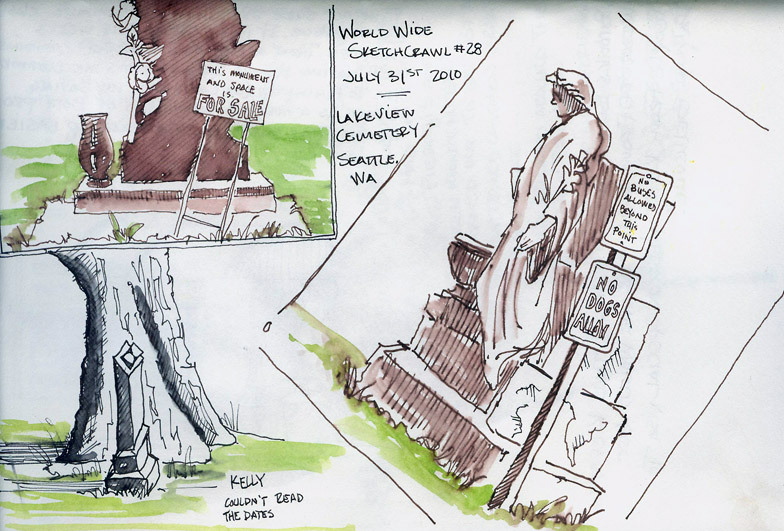 Met up with Tim Taylor, David Hingtgen, Allison and Sara and we spent just under three hours sketching the monuments and trees of this cemetery founded in 1872. 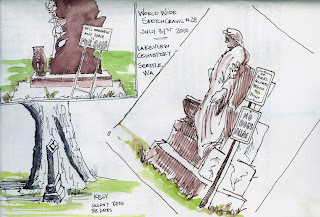 Yes, I did come across Bruce and Brandon Lee's Memorial site. Lots of flowers with well wishers and curiosity seekers gathered around.